The brilliant Chef Thomas Keller continues to work his magic on Seabourn. With Italian olive oil producer Armando Manni, the two have developed K+M Chocolate to be the world’s finest variety, and soon it will be freely available to guests of the luxury cruise line. "For anyone who loves chocolate, K+M Chocolate is surely going to surprise even the most refined palate because of the way each flavor comes to life," said Richard Meadows, president of Seabourn, in a press release. "We've been proud to work with Chef Thomas Keller over the past few years, and this is another delightful way to extend our partnership to the benefit of our guests." 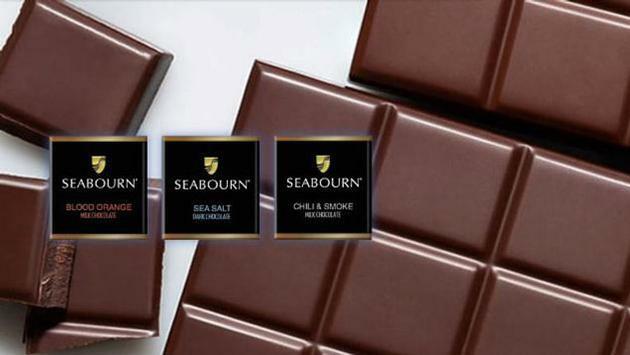 The chocolates will be available on every Seabourn ship starting in the first quarter of 2018. It’s just one more element onboard from Michelin-starred Chef Keller who has also created spectacular courses for the entire fleet. The Grill by Thomas Keller is his exclusive specialty restaurant on all the ships (save for the Seabourn Sojourn). His dining room is made to look like an American classic from the 1950s and 1960s, serving the likes of exquisite table-side-prepared Caesar salad, premium steaks, whole roasted chicken, Lobster Thermidor and ice cream sundaes. The new chocolates will now act as the cherry on top. The partnership with Keller is just one of many, such as the Spa and Wellness with Dr. Andrew Weil and “An Evening with Tim Rice” in association with Belinda King Creative Productions. For more information, call 1-800-929-9391 or visit www.seabourn.com.